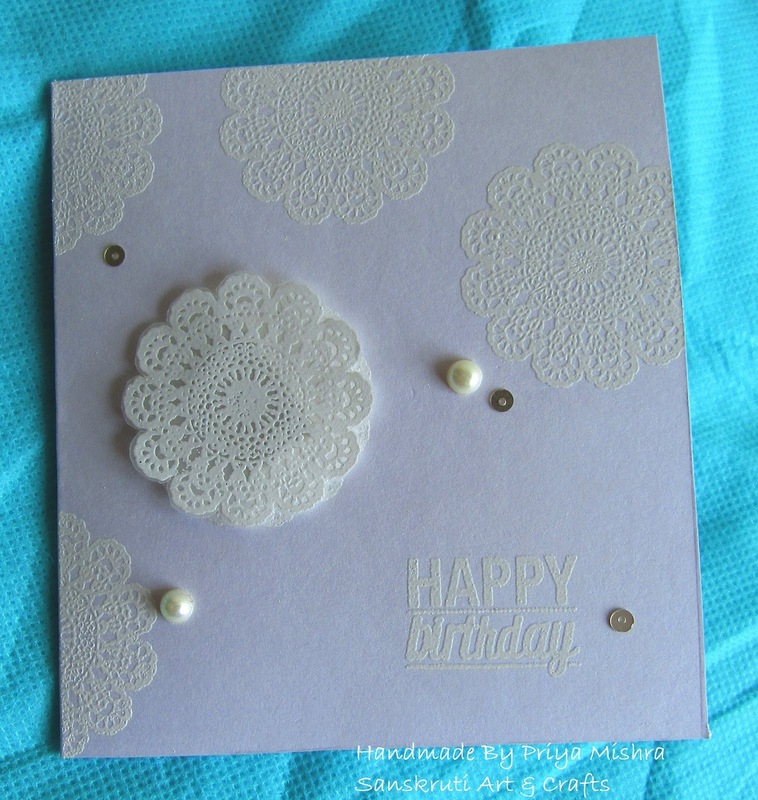 Today I want to share a Birthday card again. 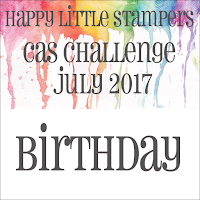 This month a lot of my friends are celebrating their Birthdays and there are Birthday challenges in some blogs too. 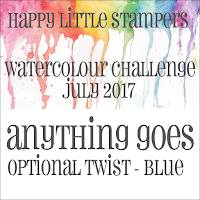 I am so happy to be able to make some cards again to participate in these challenges. 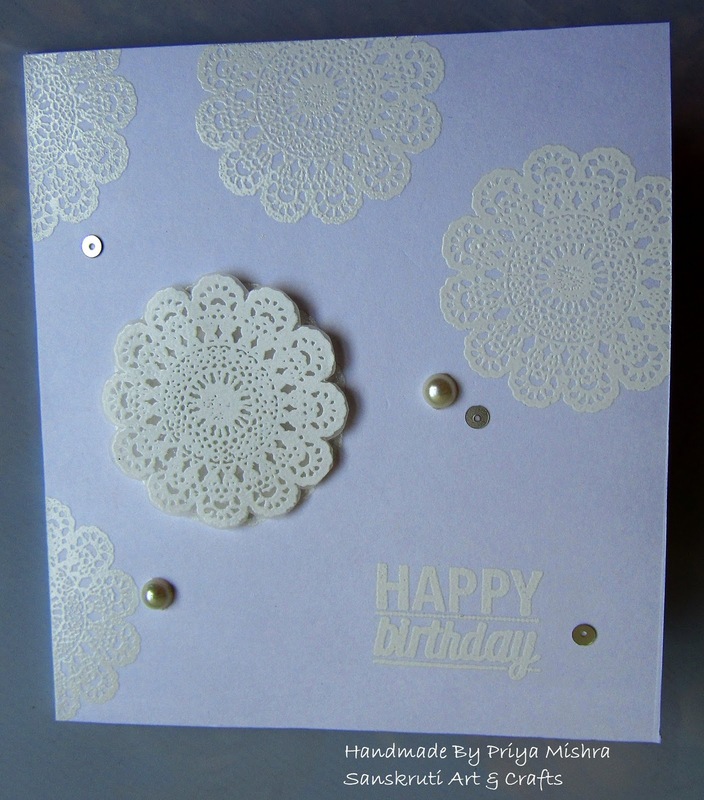 For this card, I first heat embossed the Stamp on watercolor paper with white embossing powder. Then I started water coloring applying Distress inks. Here I used mermaid lagoon, peacock feathers and Pine needles shades. Sprinkled few water drops on the card. Then I heat embossed the Birthday sentiment on vellum and attached on the top. Added a few white rhinestones here and there. 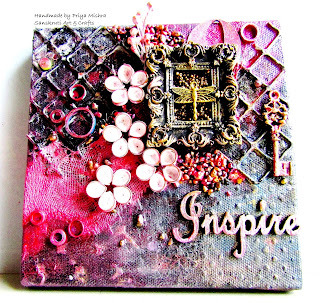 Today I'm sharing a card. 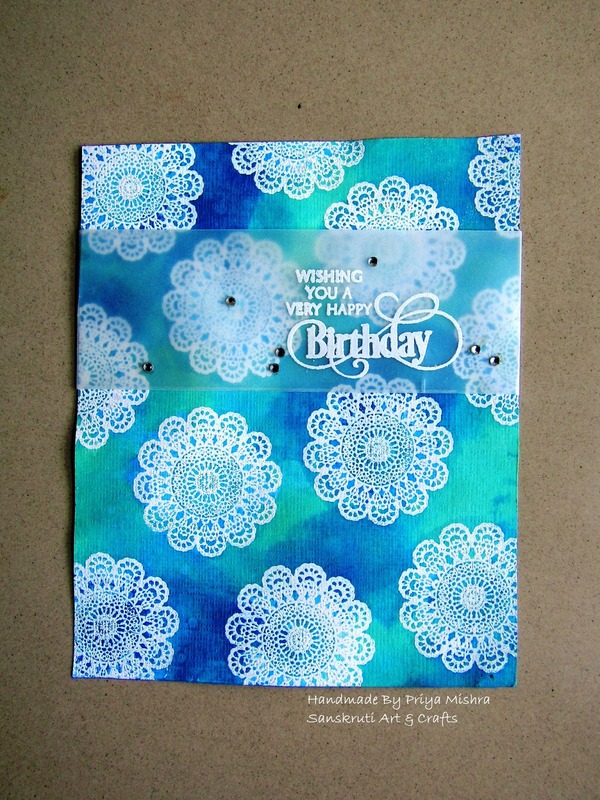 Card making is something I always enjoyed but I have not made a card since long. 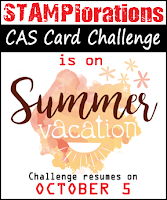 Now I'll try to make cards on a regular basis and participate in challenges so that I can better my skills. 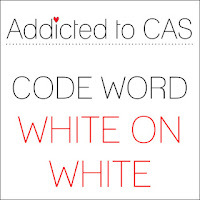 It's a white on white card. Captured it on two different backgrounds. It's a 4.5"*5" card. 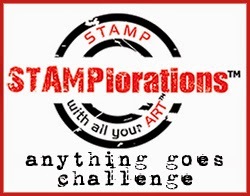 I heat embossed the stamps on the card and also once on a vellum and hand cut it to layer it on the card. 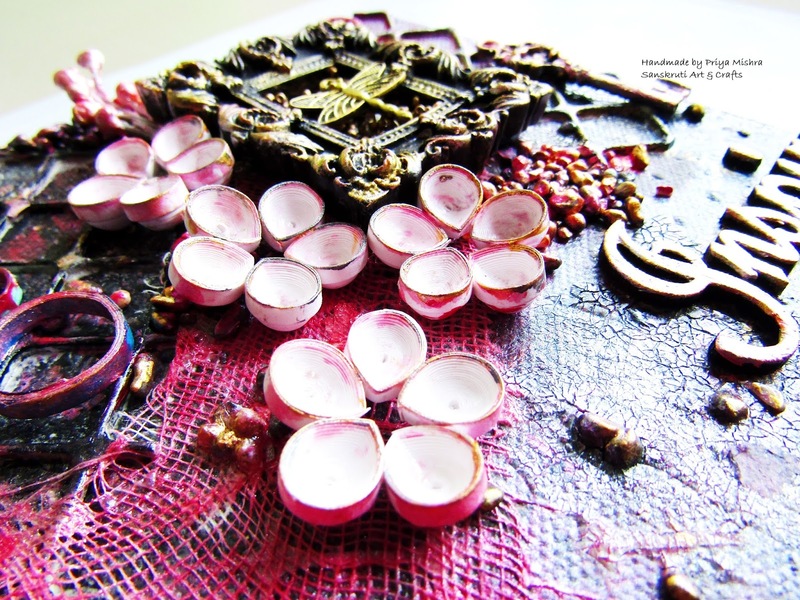 Also heat set the Happy Birthday sentiment and attached some pearls and sequins. Today I'm sharing my DT project for Indian Quilling Challenge Blog. 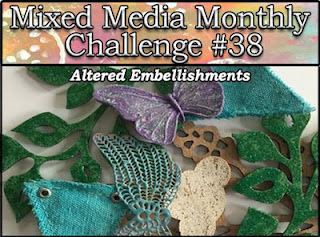 This month the theme is Mixed Media along with Quilling. 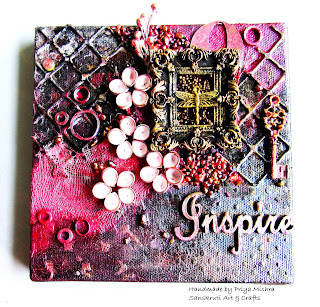 All you have to do is make any mixed media project and add quilling to it. For my project, I took up a small 6"*6" canvas to begin with. Then I gave it a thin coat of black gesso. 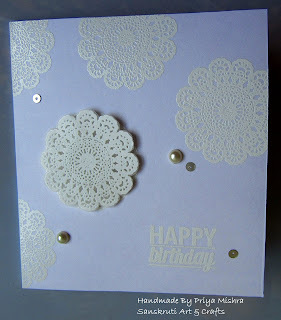 Using stencil ( here I used bubble all over from Stamplorations which I won in a challenge) I created some pattern on it. 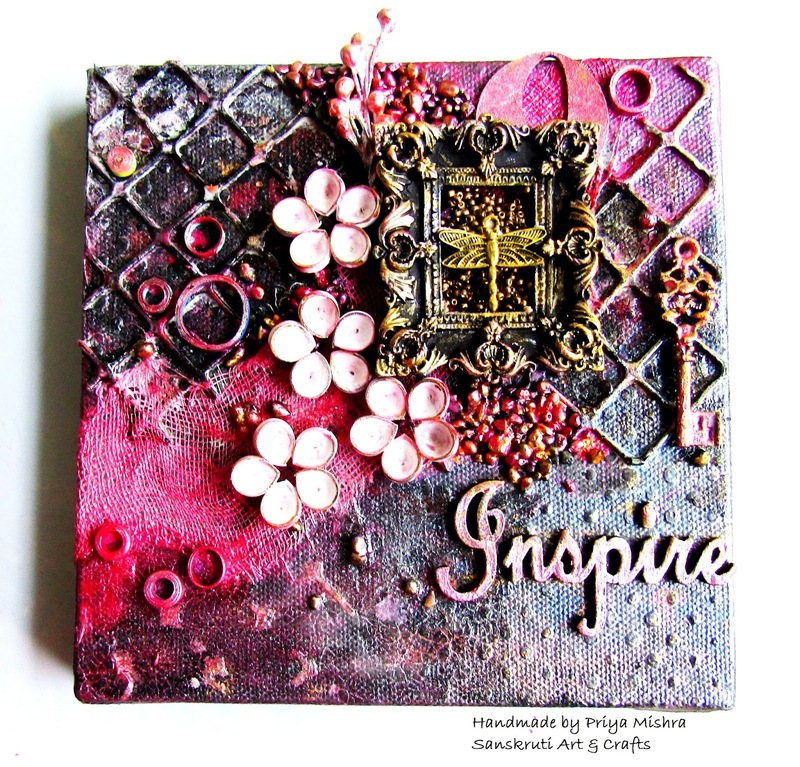 Then I applied gesso on the chipboard cutouts and glued on the canvas. I also used gauge to make some texture. 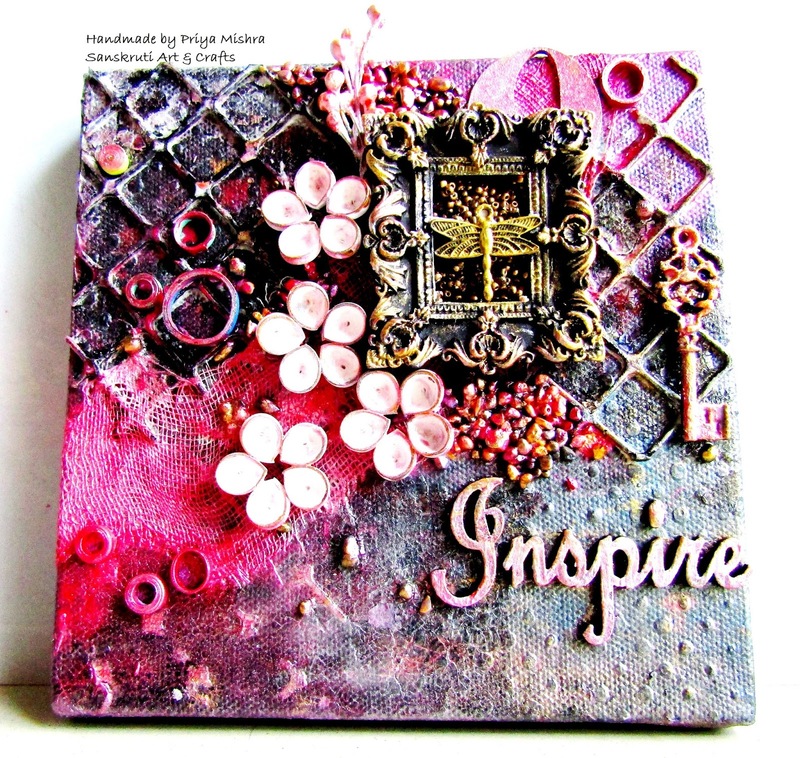 Then I took one resin frame embellishment and added few glitter beads inside it. Finally I added some fillers, quilling abstract circles and quilling flowers to it. I also added one dragonfly and one key metal charms. 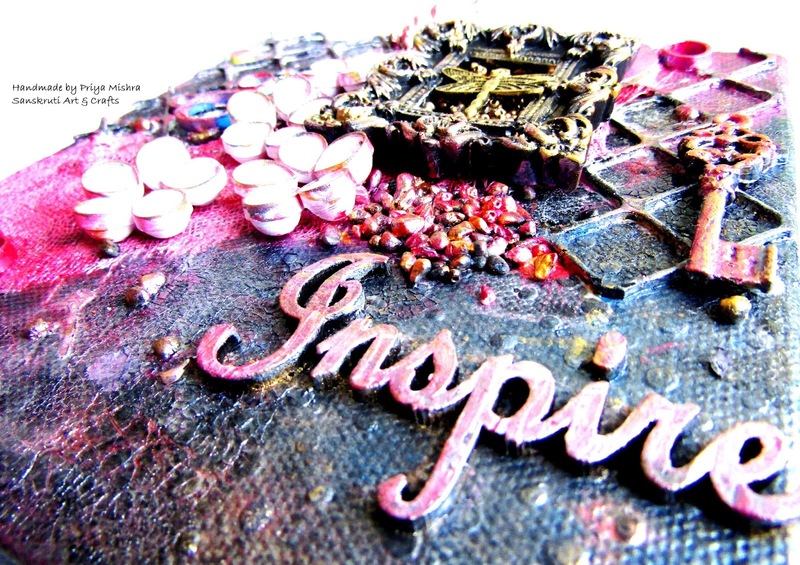 I sprinkled art stones and added the word "Inspire" on the canvas.Then I colored them with black gesso and then painted with metallic and pearl acrylic paints. 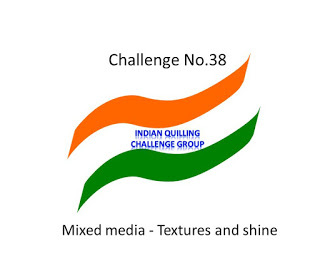 Do not forget to participate in Iindian Quilling Challenge #38 . 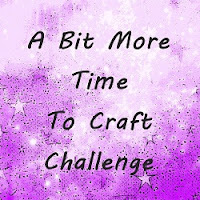 Do add the challenge logo in ur blog. Put a direct link and have fun.